NiQ Health is always looking to grow the CarePlus™ Partner Network and add to our highly skilled distributors to install, service and support our CarePlus™ Nurse Call products. If you work directly with hospital or aged care facility administrators, and want access to superior Nurse Call products to increase your business revenue, then you’ve come to the right place. Please contact us for more details. The CarePlus™ Partner Program provides you with product and sales training, an annual distributor conference, as well as technical and marketing support including brochures, technical documentations and drawings, which are also readily available on Partner page. We provide a generous wholesale pricing schedule to ensure CarePlus™ Partners are well rewarded. 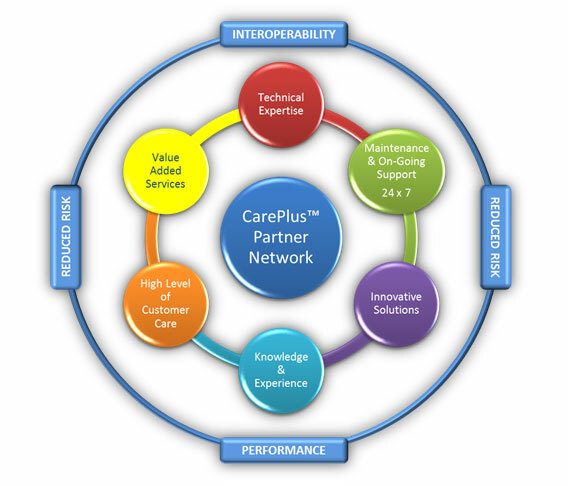 Our CarePlus™ Partner Network has an extensive capability breadth; their experience and knowledge makes the CarePlus™ Distribution Network one of the best in the APAC region. As CarePlus™ continues to expand into new international markets, NiQ Health will continue to seek Partners who can offer high value solutions to meet advanced needs in the healthcare community. ELA have over 45 years of experience in installing, commissioning, integrating and supporting electronic systems in Western Australia. ELA specialises in healthcare, audio visual and security solutions. ELA is a long-term partner and achieved multiple CarePlus™ Partner of the Year awards for their outstanding sales and support as a CarePlus™ Gold Partner. ELA has successfully installed over 200 CarePlus™ Nurse Call systems across Western Australia, and installed the first CarePlus™ Mobile Staff Duress system in 2018. KTR Electronics was founded in Victoria in 1968 to provide specialized services in the Electronics Industry. They are a “one stop shop” for Security and Healthcare, meeting all requirements with a single solution. KTR Group is an active member of the National Electrical Communication Association (NECA), Institute of Hospital Engineers Association (IHEA) and Australian Security Industry Association Limited (ASIAL). KTR is a long-term Gold Partner of CarePlus™ and a two-time recipient of the CarePlus™ Partner of the Year award in 2009 and 2012. KTR has successfully installed CarePlus™ in more than 50 Victorian acute and aged care facilities. Data & Voice is a Nurse Call and data cabling supplier, installer and service agent based in Queensland and South Australia. Data & Voice aims to provide quality products and services that will enable their clients to receive the latest technologies and the best outcomes for their individual requirements. Data & Voice also has their own R&D team, offering tailored solutions for industry requirements. Data & Voice is an active CarePlus™ Gold Partner, and they are highly recognized for their contribution and growth in Queensland and commitment to CarePlus™. Sanco is a leading Call systems provider operating throughout the United Kingdom and Europe. Sanco has over 40 years’ experience as a service provider; supplying, installing, commissioning and supporting alarm systems for the fire, security and Nurse Call industries. Sanco is a CarePlus™ Gold Partner, and was the first NiQ Partner in UK. Sanco has successfully installed CarePlus™ Nurse Call solutions in multiple hospitals across the UK, including King Edward VII’s Hospital Sister Agnes and Holly House Hospital. Alert Tech installs a range of solutions that gives their clients simple and fully compatible facility management tools. Alert Tech specialises in the installation and maintenance of Nurse Call systems, access control, data solutions and communications systems, with offices based in Victoria, Tasmania, New South Wales, Queensland, South Australia and the Northern Territory. Alert Tech understands the needs of their clients are paramount and ensure to provide solutions of the highest quality.